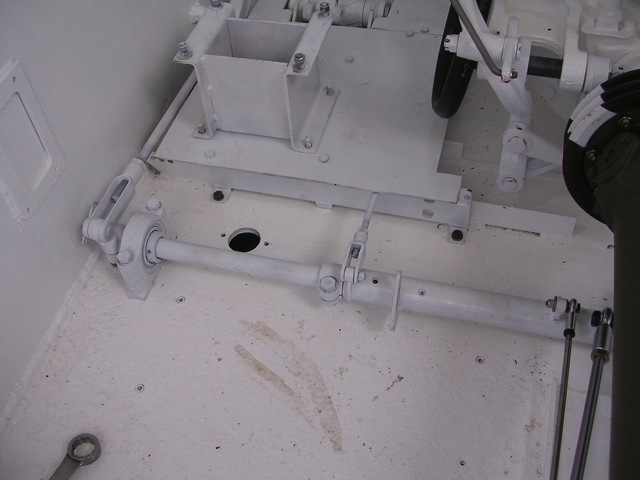 O18 Here it is installed in the hull. On right small rod is accelerator large rod is the clutch. Drivers seat base also is installed.